This week I received the very happy news that I'd passed my second Japanese exam - the JLPT (otherwise known as 日本語能力試験) at level N4. 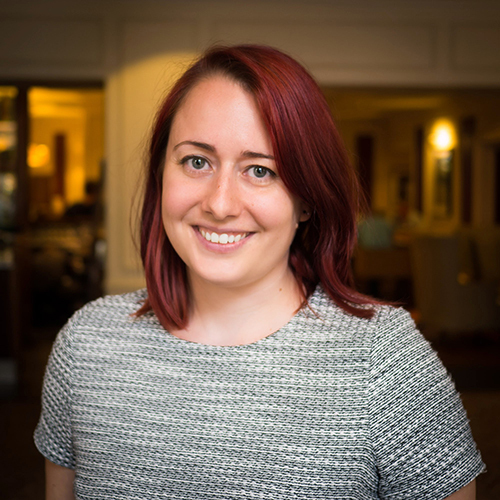 In this post I'll outline my exam experiences and go through the resources I used. Since writing my first post on this subject, I’ve really enjoyed hearing from others who’d got in touch to let me know that they’d found it useful. Despite that post only being written last August I’ve found that quite a few of my habits have changed as I’ve levelled up, so passing the exam seemed like a good benchmark for documenting what I do now. Before I leap into resources, I’ll cover my exam experience, and what I think it means to go from N5 to N4. 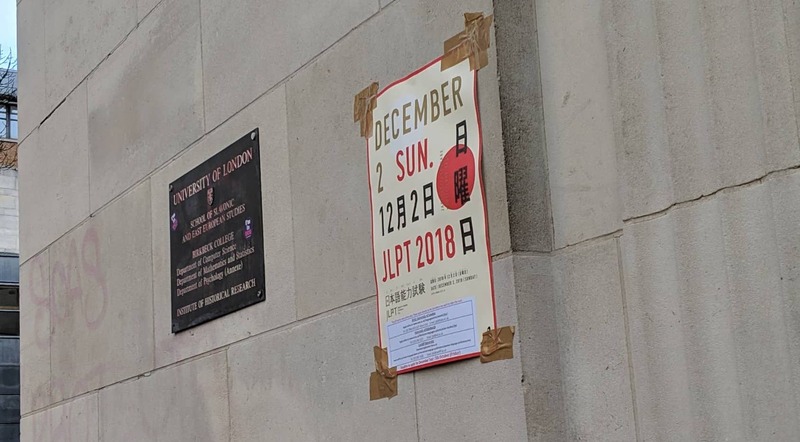 In London, you’re able to sit the JLPT (at all levels) twice a year. The exams are usually held on the first weekend of July and December, which left me all of 5 months between sitting my N5 exam and taking the N4 test. When registration opened I was teetering between signing up or not. I decided to go for it as practice – my view was that I’d brought back a couple of sample tests from Japan, but that this would be a more realistic dress rehearsal for when I eventually aimed to pass. I didn’t actually consider that I’d be able to get through all of the material in time. However, when November came I’d somehow managed to consume all of the vocab and grammar that was necessary. I took my practice tests, and was doing pretty well - getting around 75-80%. Naturally, that shifted my mindset and I then wanted to pass! I went into full-on study mode, determined to give it my best shot on the day. When the exam day came, I felt prepared. The first 30 minute section tests for kanji and vocabulary. I came out of it pretty certain that I’d got 100%, so went into the next section - grammar and reading - on a high. This one was 60 minutes, and was where I thought I’d struggle the most. I’d been doing a huge amount of reading practice, and was hopeful that this and my vocab would pull up my grammar marks as I always find that side more of a challenge. It seemed to go ok, and at that point I was hopeful that a pass was in sight. Last was the listening section. In the weeks before the exam I’d also made a special effort to practice my listening comprehension skills, and had been feeling comfortable with all of the official test practice materials. This section was 35 minutes, and despite my preparation it was one of the most stressful exam periods I’ve ever been in! The speed was much faster than all of the practice I’d done, and I felt that I’d really been grasping for answers. I came out certain that I’d failed, purely because I thought that I wouldn’t reach the sectional pass mark required in that area. I tried to remember that the intention had only been to do this as practice, but it was a horrible feeling. The wait for the results is agonising as it takes around two months. 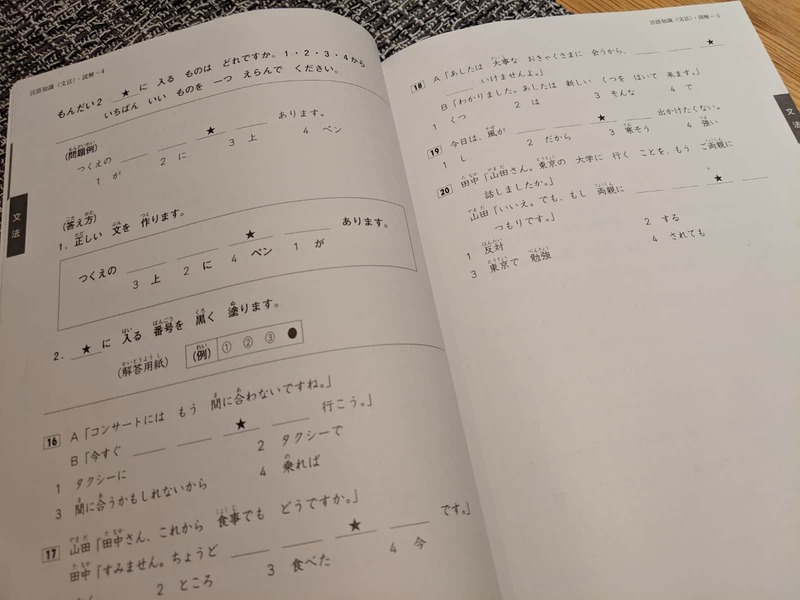 The JLPT uses an opaque scaled scoring system so it’s very difficult to judge how your final score will turn out even if you’re later able to deduce questions that you got right or wrong. In the end, I got a very respectable score, probably around in line with my practice tests (the scaling makes it impossible to directly compare). For listening you just get marks, and this was (somehow!) a comfortable pass in the end. For vocab, grammar and reading you’re awarded a grade A-C - I got three As, which equates to “the number of correct responses was 67% or higher”. In general I feel like my Japanese definitely jumped up a level between N5 and N4. You sometimes see higher level JLPTs writing off N5 as being ‘easy’, which it’s not - it’s definitely not a guaranteed pass, and is still a fantastic achievement for any non-native speaker which requires a lot of learning if you have no background with the language. N4 is still upper beginner level in that you’re not going to be operating anywhere near fluency, but I feel like this is the point where you start understanding much more about language in itself, as well as how to learn. N5 vocab is pretty distinct - black, white, cat, dog, to swim, to run, to eat. N4 starts to introduce subtle variations; different ways to express yourself, both in terms of grammar and the words. You learn the difference between transitive and intransitive verbs (something closes/something is closed) and causative/passive (making/letting) for instance, and multiple ways to convey the same concept in different ways, including at different levels of formality. So what did the passing at this level teach me? First of all (and slightly obviously), that you can make huge progress if you put in a lot of regular effort. In the months between exams I was typically doing a couple of hours learning each day, with more on weekends. With life and work pressures this isn’t always possible, but it does help with retention and getting yourself into a habit. I’d put a lot of effort into practicing the formats that are tested for, which I think paid off on the day. Likewise reading, where I’d made a big effort to start consuming more native materials. Even though I thought the listening had gone horribly, I can’t even imagine how bad it would have gone without all of the effort I’d made in that area! Tied into this was to have an exam strategy. For N5 I went through each section from start to finish, fretting when people turned pages faster than I was. This time I had a plan - pretty much go backwards. I started from the end of the reading section (the longest passages), working towards the start (short paragraphs). After that I jumped over to the longer grammar section questions, then the jumbles, before finishing on the short answers. I found that this technique helped with my tiredness and brain fog, as it was easier for me to scan short answers towards the end than to start something huge and daunting. The caveat with the above two points are that exams aren’t the same as real life. Whilst you need to work to exam patterns to pass the JLPT, this is very different to operating in a native context. Some of my favourite learning milestones came in the form of conversations I had in my last trip to Tokyo, and finding out how much more I’d truly absorbed. Finally I learnt to know my weaknesses, and the importance of pushing myself. By admitting the areas you’re lacking in, you can start to distribute your effort better. My listening experience also taught me that sometimes working a little bit ahead of the level you’re testing for is beneficial - I’m now pushing myself to consume material at a higher level every now and again, because I know that this exposure will make me overall more comfortable. Many of the materials I used built on my N5 foundations which you can read about here, but I’ve flagged new things. Anki flashcards - I used this Ultimate JLPT N4 deck which covered all of the bases and worked well for me. I slightly customised my card layout and have since learnt a lot more in this area, but the content was good. At times this was pretty brute force learning, but reading reinforced it all slowly. Starting to use the HelloTalk app more regularly helped with my recall. The Reading book of the 「 新 (しん) 完 (かん) 完 (ぜん) マスター」 set was invaluable here. It outlines techniques for how to read better, and gave me a ton of practice. I really like that the answers explain why they’re correct as well. NHK Easy news stories are fantastic real-world content, which provide in-page vocab explanations in Japanese (see below). Reading more 「 よつば (yotsuba) と！ (&!) 」 manga. Reading everything Japanese I came across in the wild. I was in Italy when I’d just learnt 教 (きょう) 会 (かい) (church), and started seeing it appear on tourist signs. I used the 「新完全マスター」 Grammar book which I found excellent. It was very clear on the verb forms, and gave a set of exercises and answers. At the end there was a practice test. In conjunction with this I started to use Bunpro - a service which I wasn’t keen on when it first emerged, but which has really matured. This uses a spaced repetition format, and requires you to type in answers. After I’d finished off book 4 of the Japanese From Zero! series I decided to borrow a copy of Genki II to cover all of the bases. As in my previous post I’m not actually a big fan of Genki for self-study. I used it more for cross-reference in terms of material that I should cover. The YouTube channel Japanese Ammo with Misa gives some great explanations of certain topics. Tae Kim’s site was my go-to if I wasn’t understanding topics and wanted to read a different take. Dictionary of Basic Japanese Grammar - for understanding grammar points in more detail. A notebook for writing down my own explanations. My last book in the N4 「新完全マスター」 set (I didn’t buy the kanji or vocab ones) was Listening. This comes with a CD/website audio and again is brilliant for helping you to learn how to listen better. Netflix - I tend to watch Japanese content whenever I’m exercising. 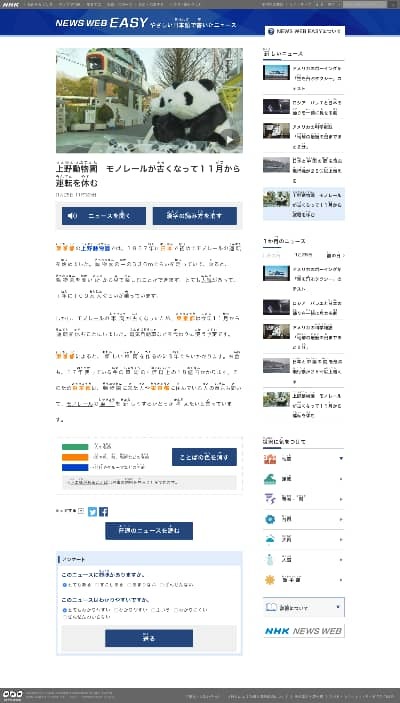 The NHK News Web Easy site also has audio for every story. There are tons of more simple Japanese listening practice videos on YouTube, as well as exam-specific practice. After the exam I had a short break (I started my new job the very next day! ), but have been back on the learning horse ever since. There is a lot more N3 material, so I’m not aiming to pass in July (although I’m yet to decide whether I’ll sign up for practice… mindful of what happened last time I said that! ), but instead will probably give the December exam a shot. So far I’ve created a new custom Anki deck, have bought the Grammar, Reading, and Listening 「新完全マスター」 books from Amazon.jp, am working my way through An Integrated Approach to Intermediate Japanese textbook and workbook, and am continuing to use my online tools. I’m also considering another stint at language school later in the year, if I can take the time off.